Front-load and top-load high efficiency (HE) washers are designed for low energy and high-efficiency operation. These washers are loaded with convenience and energy-saving features. However, high-efficiency washers do require the use of HE detergents and a substantial investment to purchase, over the traditional washer. Washer care and maintenance for HE washers also varies considerably from the standard top-loading washer models. Simply stated, HE washers require more care. It is also recommended that HE detergents be used in front-load and top-load high-efficiency washers. The following tips will help you with buying, using and caring for a high-efficiency washer. Wondering which style of the washer to buy? There are trade-offs with each type and significant price differences. Be informed before you make your buying decision to ensure you are satisfied with your purchase. Review my washer buying tips to learn about washer styles to choose the one that's right for you. You'll learn what washer cycles are a must and what features are available. When it comes color, you might want to give this some consideration. Colors can age an appliance but it can also brighten your laundry area. Buying Home Appliances - Should You Consider Color? Read reviews and compare prices of different brands of laundry appliances so you'll know what to expect and can spot a good deal when you see it. How other consumers feel about their HE washers can help you decide if this is the right model for you. Learn the benefits of buying an Energy Star appliance and how to compare estimated energy use labels of various models so you can project operation costs. If your laundry area is small, you may want to explore downsizing your laundry appliances. Where you will place the washer and dryer is something you should consider before buying these appliances. There is an optimum placement that will make your workflow most efficient and available space often dictates the size of units you can purchase. HE Detergent Use for High-Efficiency Washers - A Must! While it may sound like a marketing ploy, there are solid reasons for using only HE detergents in high-efficiency washers. And if you're wondering why manufacturers are concentrating detergents, you can read about the benefits of these 'green' initiatives. While they may be difficult to find, there are some HE detergents that are formulated especially for washing baby clothes. What is HE Laundry Detergent? Does 2x Detergent Need to be Diluted? High-Efficiency Washers & Detergents Guide by the SDA. Looks are not the only difference between traditional washers and high-efficiency machines. There's a considerable difference in a washing operation and you can expect a high-efficiency washer to need more care. There may be a slight learning curve to work through with this new generation of washers. And protecting your washer, as well as your clothing is even more important with this new style of washing machine. I cannot emphasize enough, the importance of reading the manual if you have a high-efficiency washer. It will include unique maintenance and washer cleaning instructions, that is not typical to standard models but is crucial to keeping your new HE washer operating properly. Because of design issues with most front load washers, many consumers have had mold issues within the washer, smelly towels and a bad odor in the washer. The only solution I've found is to install a WasherFan at the back washer vent. This is a more permanent solution for washer mold and front load washer odor. It's sad to say but many consumers have reported instances of mold occurring in their HE washers. This is very unfortunate and is the downside of an energy-saving high-efficiency washer. Though there are tips to follow that can help to reduce the risk of mildew, it can and does still occur. But readers have added many comments that are worth reading; they have helped with this health concern and confirm the importance of the extra care required for this style of washer. If you already have a washer but have repair questions or need parts, these online sources may help you find what you need. 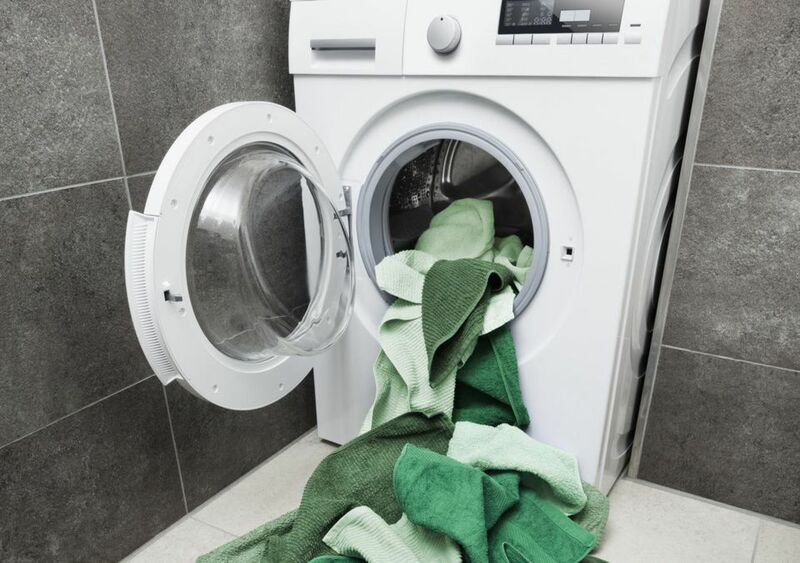 Readers offer tips for preventing and resolving washer mold issues.